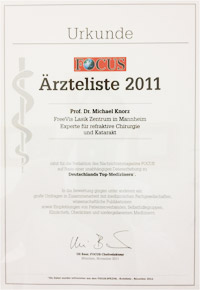 Professor Michael Knorz began his clinical career as Senior Physician at the University Eye Clinic Mannheim (1988 to 1998). 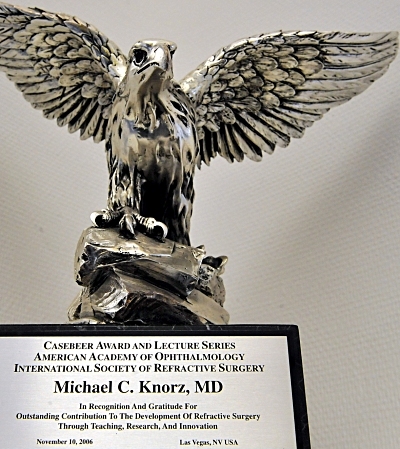 In 1993, Professor Michael Knorz introduced the LASIK procedure in Germany. He also introduced LASIK to India and performed the first LASIK there in Mumbai in 1994. 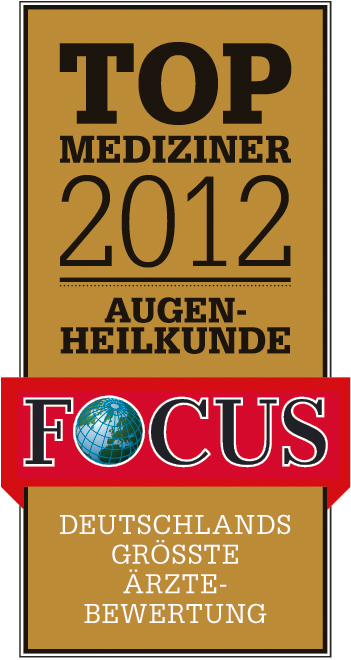 At the same time, he established the first German LASIK center at the University Eye Clinic Mannheim which in 1999 was converted into the FreeVis LASIK Center Mannheim. As of today, Michael Knorz is the medical director of this FreeVis LASIK Center as well as the founder and CEO of the FreeVis LASIK Group. 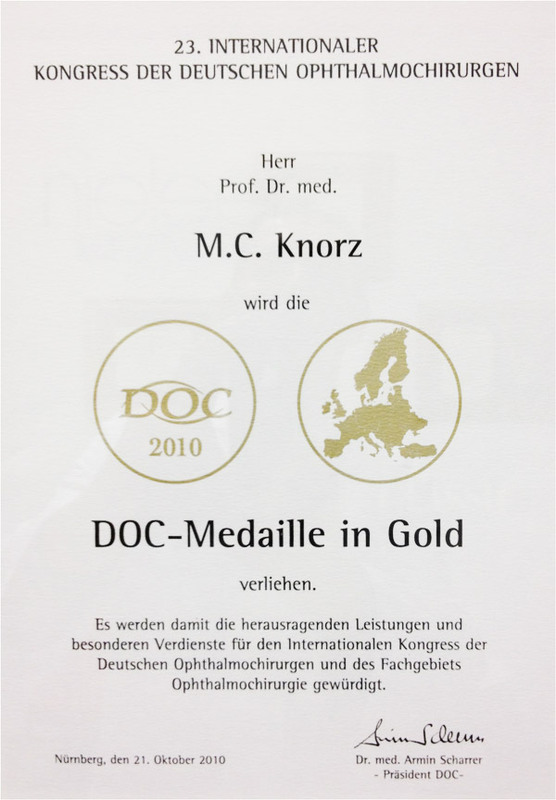 Professor Knorz' main research areas are in cataract and refractive surgery, intraocular lenses and femtosecond laser technology. He has published over 50 original articles in peer reviewed journals, 50 book chapters, and a comprehensive textbook on phacoemulsification, recently printed in its second edition. 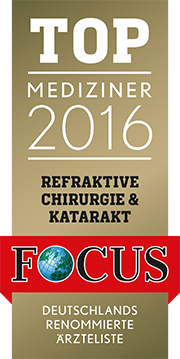 He has presented more than 400 papers and participated in over 200 courses on phacoemulsification and refractive surgery all over the world. 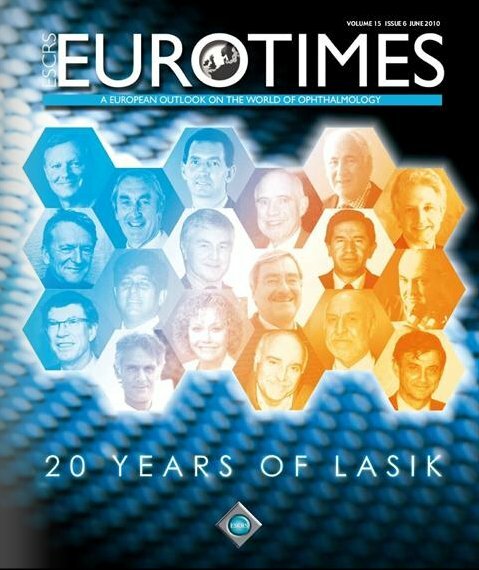 Professor Michael Knorz is senior associate editor of the Journal of Refractive Surgery (JRS) and Past Chairman of the editorial board, Ocular Surgery News, Europe Edition. In 2011, the AAO appointed him as member of the ISRS' Program Committee and Multimedia Library Editorial Board. 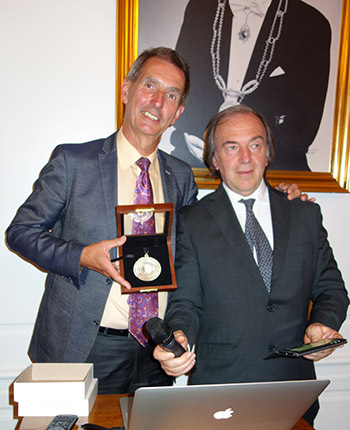 He is co-founder, board member and was the 2010/2011 president of the Organization of German Specialty Clinics for Eye Laser and Refractive Surgery (VSDAR), board member and 2010/2011 president of the International Intraocular Implant Club (IIIC) as well as honorary member of the South African Society of Cataract and Refractive Surgery (SASCRS). He currently serves as IIIC's Executive Director. 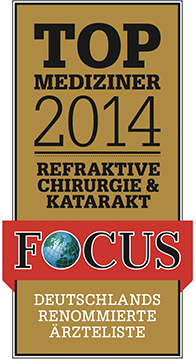 Professor Michael Knorz is actively involved in the creation of standards of care in the field of refractive surgery. 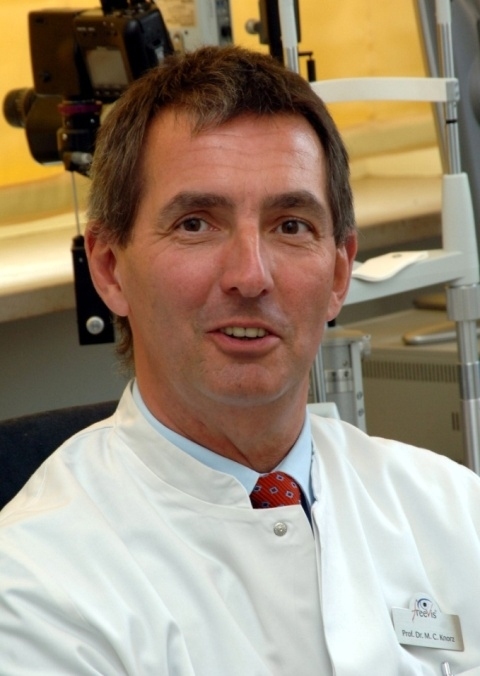 He was the chairman of the "Kommission Refraktive Chirurgie (KRC)"(committee on refractive surgery), a joint committee of the German Ophthalmological Association (Deutsche Ophthalmologische Gesellschaft, DOG) and the Professional Association of German Ophthalmologists (Berufsverband der Augenärzte Deutschlands, BVA), which is responsible for standards of care in refractive surgery and certification of refractive surgeons. He currently serves as the secretary of the KRC. 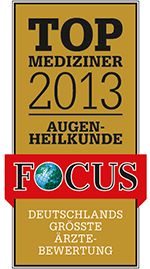 The news magazine FOCUS includes Michael Knorz, MD, as one of Germany's experts for refractive and cataract surgery. 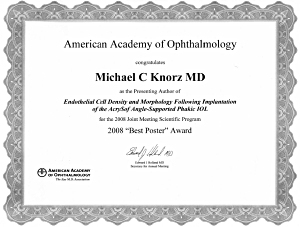 for the presentation of "Reduction in Mean Cumulative Dissipated Energy Following Lens Liquefaction With an Intraocular Femtosecond Laser"
2010: ESCRS celebrats the "Year of LASIK"
Recognizes ophthalmologists for their special service or contribution through outstanding organizational, management and/or administrative activities in support of the AAO and ophthalmology. 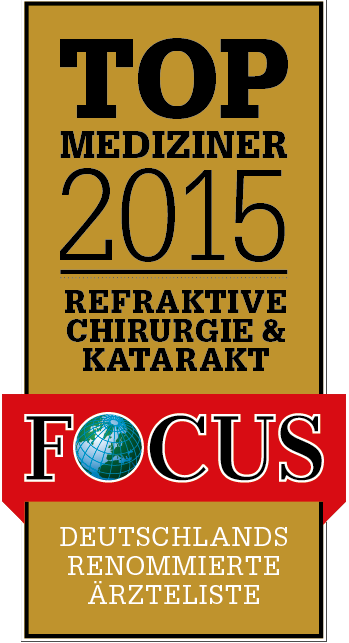 Highest honor of the Asia-Pacific Association of Cataract and Refractive Surgeons (APACRS). 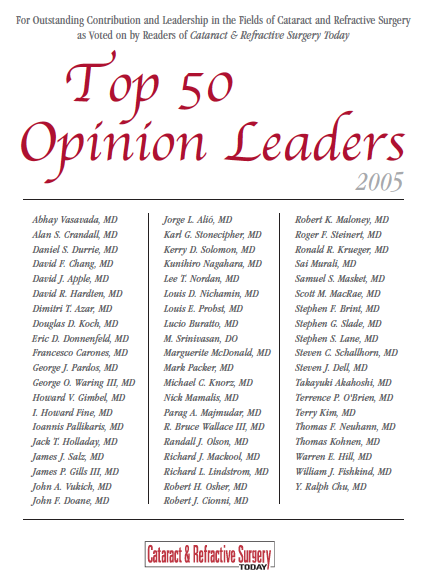 Voted by colleagues and readers of Cataract & Refractive Surgery Today, for outstanding contribution and leadership in the fields of cataract and refractive surgery.